Paper Mill Road heading north, which curves east after the intersection of Possum Park Road and Thompson Station, has seen several deadly car crashes. In March 22, 2014, 2 sisters, Ashlyn and Devyn Sisson, were driving to their home in Pike Creek after finishing their shifts at a Newark restaurant when the car veered out of control and struck a utility pole. 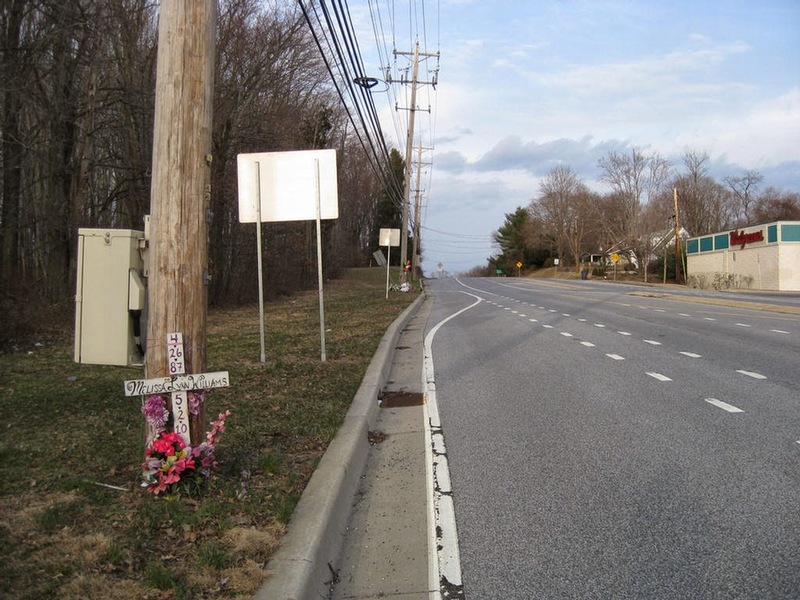 In April 2010, a 23-year-old Hockessin woman was killed when her northbound car crossed Paper Mill Road's median, overturned and hit a pole. 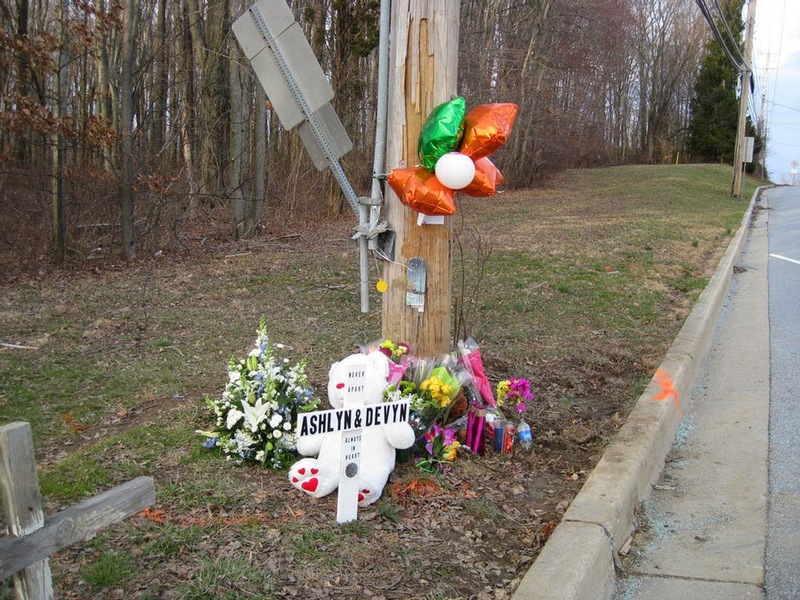 In October 2007, four construction workers from Mexico were killed in a two-vehicle crash near the same intersection. A 2000 crash at the same location killed a PA man. 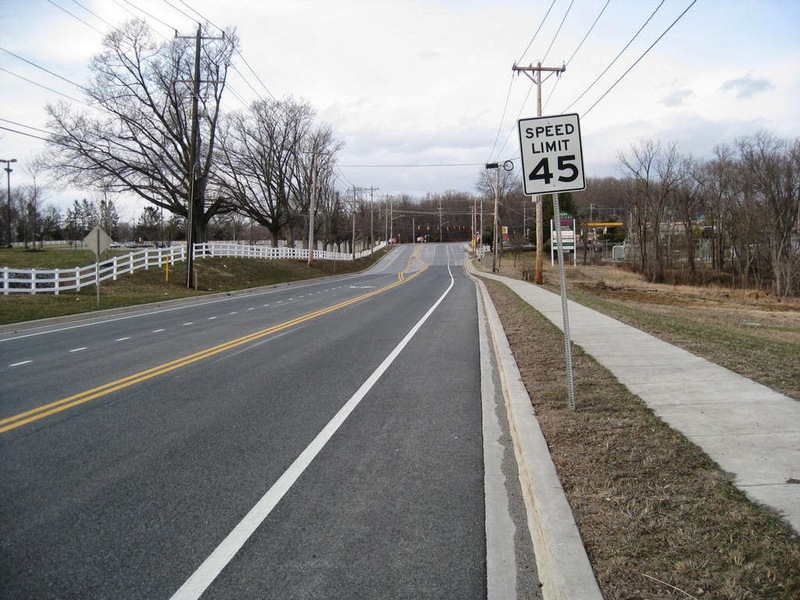 Above: Like an open runway, Route 72/Paper Mill Road leads straight into Milford Crossroads with no reduction in the 45 mph speed limit. After the intersection it increases to 50 mph. 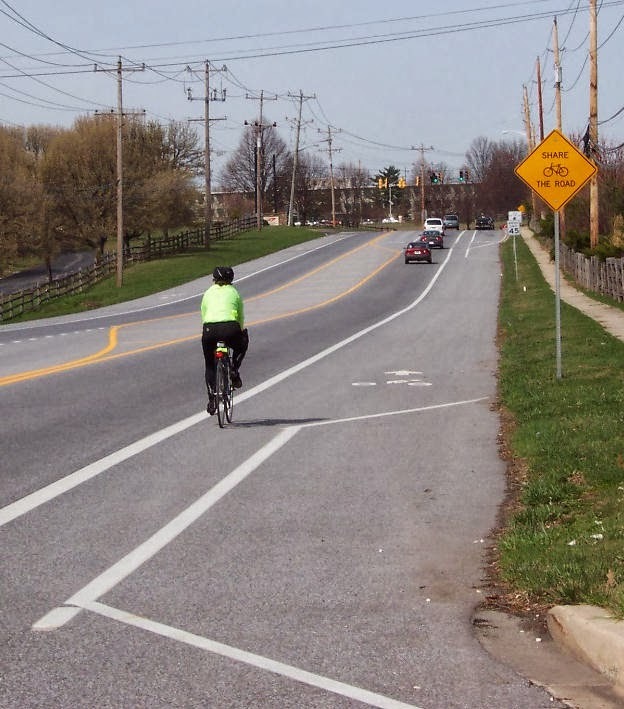 For most of its length, Paper Mill Road is fitted with properly designed bike lanes, and is a favorite among recreational and commuting cyclists. Once into the intersection , the road curves to the right. 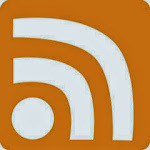 At high speed, the curve becomes more pronounced and difficult to negotiate. Surveys show that most drivers admit to routine speeding, and 10-20 mph over the speed limit is commonplace when a road is this wide, and has few calming measures. Without bike lanes, Paper Mill would have no calming features whatsoever. Law enforcement is also scarce. Two crash memorials, each on a phone poll, can be seen circled in red. A closer view of the two memorials circled above. 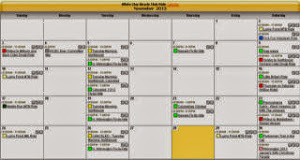 The most recent - just one day ago - is further in the distance. On my way home, I took this photograph of a 40 mph speed limit sign on Polly Drummond Road. 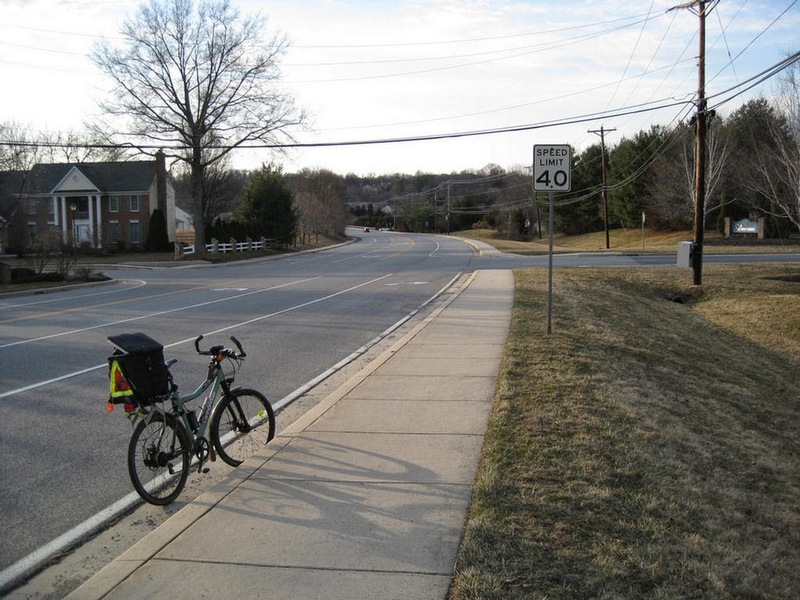 Polly Drummond is similar to Paper Mill Road in lane and shoulder width, however, the presence of residential neighborhoods may be why it has a reduced speed limit. At the least, it is time to consider a reduced speed limit along Paper Mill Road as well, as low as 35 mph heading into Milford Crossroads, especially in the northbound direction.